Hamilton introduced metallic bracelets in the early 1930's but rarely used them until the late 1940's. There after some models were available on either a bracelet or a strap and sometimes just a bracelet. 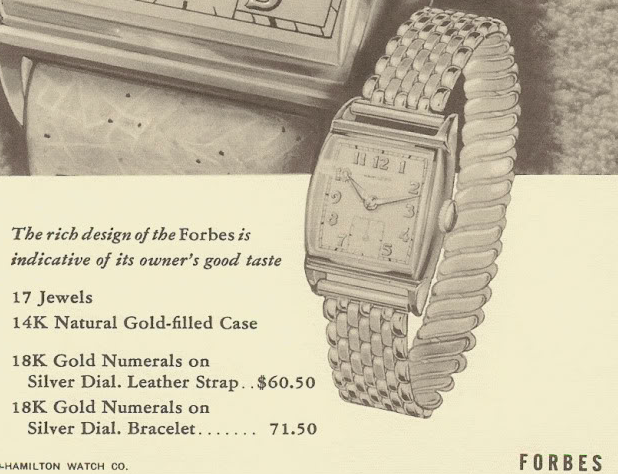 One of the earliest watches to come on a bracelet was the 1948 Forbes. It was produced through 1951. 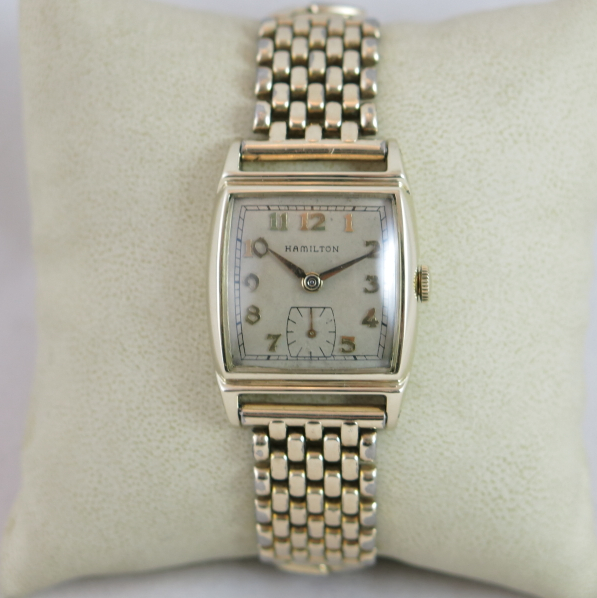 The Forbes came in a 14K yellow gold filled case with a sterling silver dial and solid gold numerals. 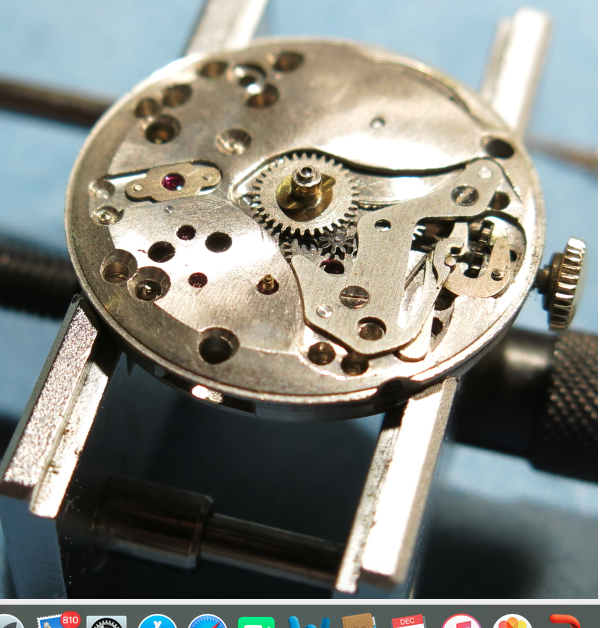 It was one of the first watches to feature the newly introduced 8/0 sized 17 jewel 747 movement, that replaced the 987A. The Forbes came with either a leather strap or a metal bracelet. The bracelet was made by Gemex. I recently purchased a Forbes project watch. It interested me most because it came with it's original bracelet. It was pretty beat up, ran poorly and was missing it's second hand. 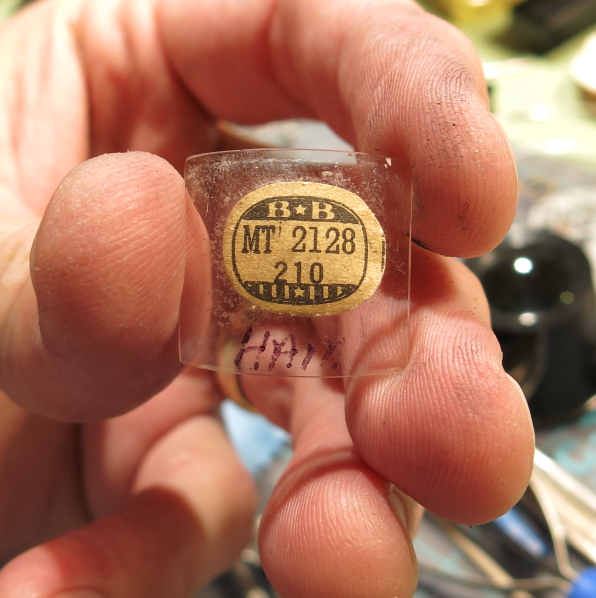 With the crystal removed you can tell from the font that this dial is an older refinish. It looks okay but the seconds register should be more square. 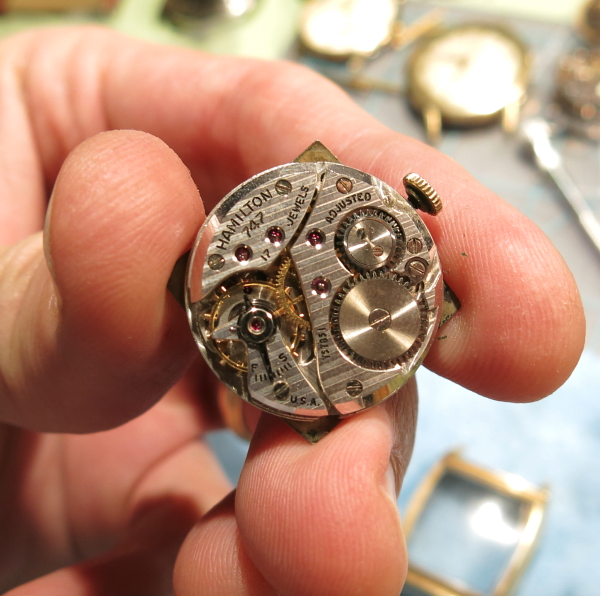 You may have already observed that the sub second register traditionally echoes the same shape as the bezel opening. There are exceptions, of course, but most of the time when there's a seconds register its shaped like a mini-version of the minutes track. This one's not bad, it's just not quite right. The 747 wants to run but it's really too dirty to run well. 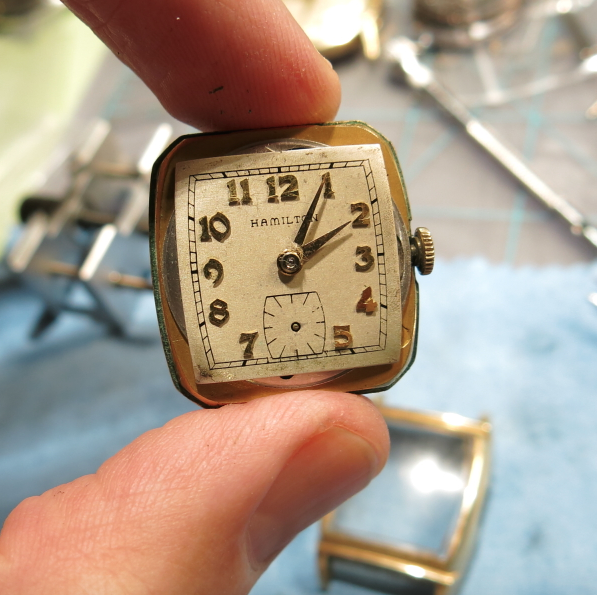 Every new watch should be overhauled before it's put into regular use. You'd be surprised how much metal shavings I find in the cleaning solution after I service a running watch. It's best to get that out and get fresh oil back in it's place. A close look at the second hand pivot shows the second hand tube is still stuck to it - that means the second hand broke off. Something tells me the fourth wheel will be a pain to get out. Fortunately I have a special tool that's called a "sweep wheel puller" that looks like a hand puller but is designed to pull of sweep second wheels (like on the 987S). So I was able to removed the fourth wheel without bending the long second hand bit. While everything is being cleaned I'll install a new glass crystal in the bezel. 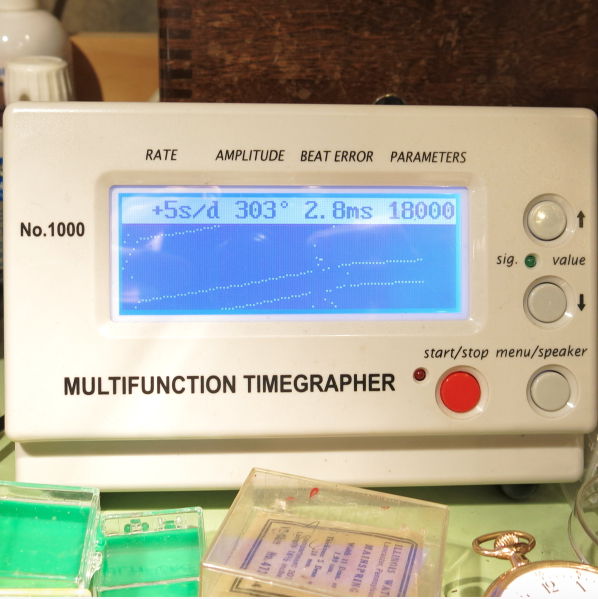 Glass crystals get installed with UV glue - an epoxy that sets with ultraviolet light. You can use the sun or a UV lamp like for growing plants. I use a lamp that was made for curing false finger nail extensions… that's probably the least expensive option if you don't have sunshine available. 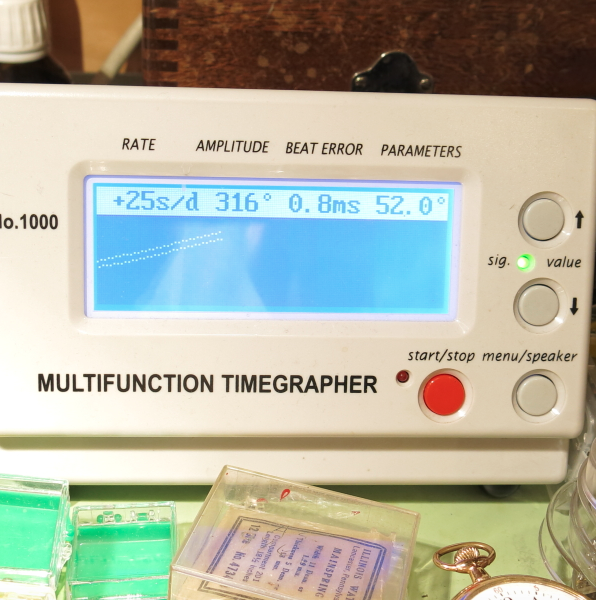 Well, I was able to tweak the regulator to get the watch to keep pretty good time. Unfortunately, it ran great dial down but much slower dial up. That means there's some gunk somewhere still inside. I'll fix the beat error while I take it all apart and do it all over again. Well, this 747 gave me a run for the money but I eventually showed it who's boss. As you can see below it's running much better, the beat error is less and a little tweaking to the regulator will slow it down a little more. The bracelet still looks pretty good I think but it does look like it's almost 70 years old. It's not bad enough to warrant disposing of it though - it just adds character. 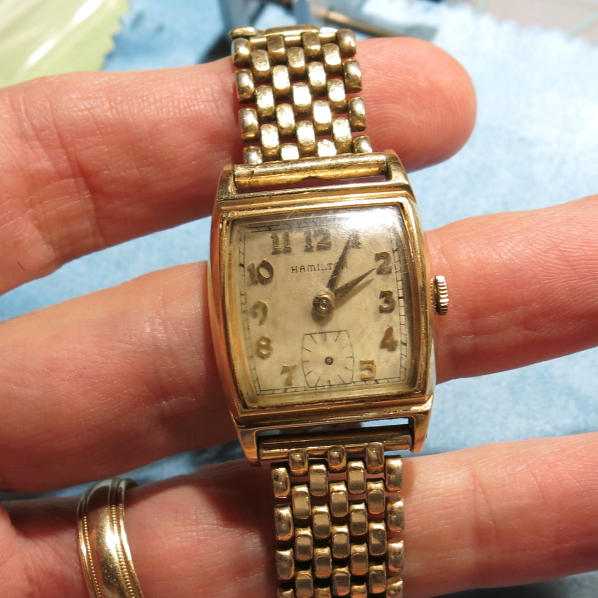 I'm considering redoing the dial - the rest of the watch is so nice that getting the dial to look perfect again might be a nice touch to complete the restoration.